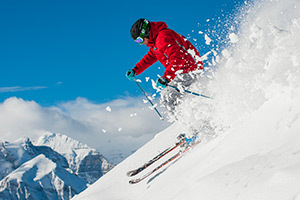 This certification is the highest certification granted to ski instructors in Canada. At the Academy we provide this 6 day training course BUT NOT THE EXAM. Currently the Exam is only available in Canada. The Level 4 program aims to train and develop expert instructors by perfecting their skill development abilities, as well as their skiing and methodology, on all terrain, for all levels of skiers. 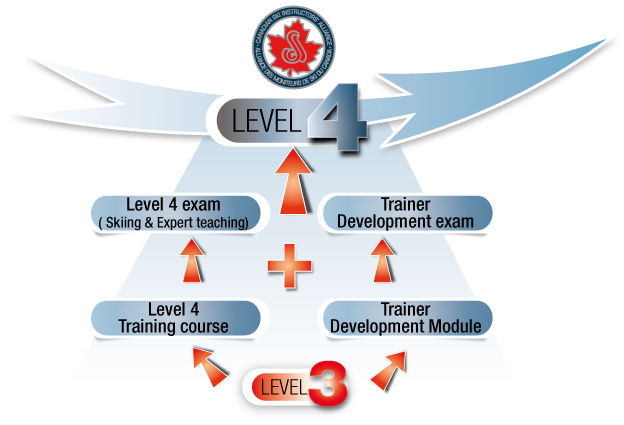 The Level 4 certification requires successfully completing 3 exams: Level 4 skiing exam, Level 4 expert teaching exam and Trainer Development Exam. Partial certification is possible for either skiing or teaching. To achieve the partial teaching certification, both the Level 4 expert teaching and trainer development exams must be successfully completed. Skiing is evaluated in a ski-off format, consisting of 9 demonstration runs. The ski-off procedure is reviewed during the course and each candidate will be given clear directions for exam preparation. 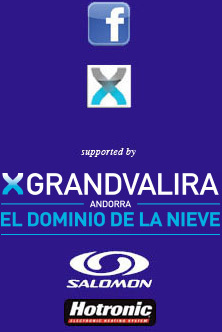 The expert teaching exam consists of a 1h 30min to 1hr 45min ski improvement lesson taught to your peers. Teaching assignments are given on day 1 of the exams. Candidates who fail skiing or expert teaching can be re-tested on that portion with no time limitation. Candidates passing one portion will never have to be re-tested for that portion. Partial certification is possible for either skiing or teaching. To achieve the partial teaching certification, the candidate is required to successfully complete both the Level 4 expert teaching and trainer development exams. All Candidates, including first-time participants, have the option of challenging only one portion of exams (skiing or expert teaching). The process of certification is not limited in time. Once qualified for the exams, candidates will not have to attend the Level 4 Training course ever again. This module covers methods of instructor training ("teach to teach"). It is recommended for any level 3 that wishes to become a level 1 course conductor, and mandatory for level 4 certification (*note: anyone that has taken the level 4 training course prior to the 2015-16 session is granted an equivalence for this component). After completing the trainer development module, candidates must pass an instructor training session (45-55 minute peer teaching). While this exam can be completed before or after Level 4 exams, this is a required component for the level 4 teaching certification. 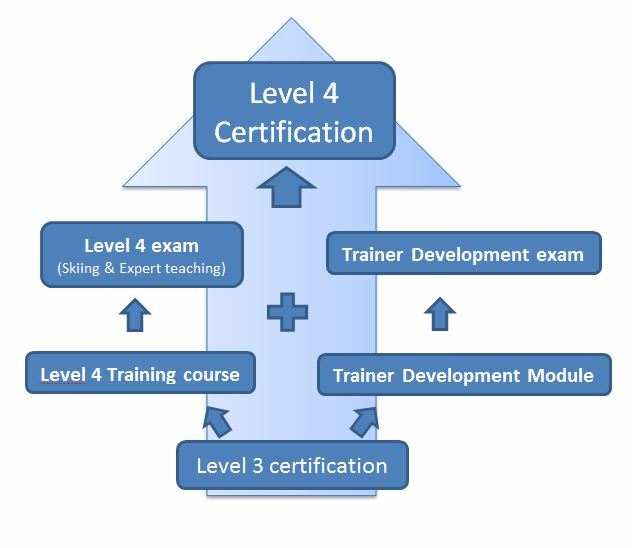 Candidates who have already achieved the Level 4 partial-Teach certification are granted an equivalency on this component.